The inauguration of the 9th First Security Islami Bank School Rugby Competition-2018 held on October 11, 2018 at Govt. Physical Education College, Mohammadpur, Dhaka sponsored by First Security Islami Bank. There are 12 school teams participating in the tournament and it will continue from 11 October to 14 October, 2018. Mr. Md. Masudul Karim, Secretary of National Sports Council as a chief guest and Mr. Md. Mustafa Khair, Deputy Managing Director of First Security Islami Bank Ltd. as a special guest were present in the opening ceremony. 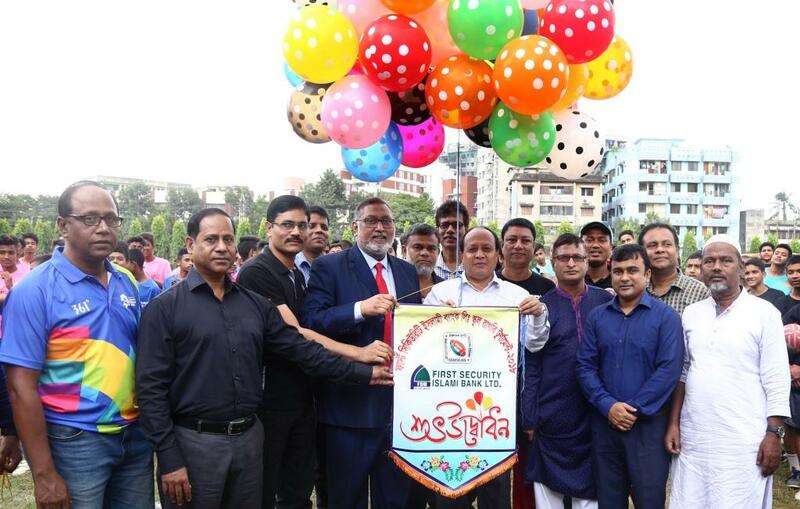 Among others Mr. Moisum Ali, General Secretary of Bangladesh Rugby Federation along with other officials and teachers of different schools were present on the program.